PLEASE don’t allow anyone to pick up your placenta, take it away from you, and then bring it back to you in capsule form. Read this information about why I don’t offer a pick up/drop off service and why it’s best that you don’t seek them. VT and NH have strict standards for facilities that prepare consumable substances. Say, you want to start a cookie business…your facility would need to be licensed and regularly inspected by a local authority from the Health Department. These rules ensure that the cookies are made in a safe environment by someone trained to handle food and follow sanitation procedures. If you make and sell those cookies without a license, then you are operating illegally. If that is the case for cookies, it must apply to placenta, right? Right, but there are currently no FDA inspected facilities in the U.S. approved for the preparation of placenta. It means that an Encapsulator, like myself, must work in my client’s kitchen. The day that the FDA has approved a facility to prepare placenta in, is the day that I will change this lingo. For now, I continue to encapsulate each client’s placenta in their kitchen; not my own. It is illegal in VT/NH to prepare your placenta in my personal kitchen. Then you know that your placenta has been stored at a consistent food temperature. Then you know that your capsules are prepared in a clean environment. Without regular health inspections and monitoring, the only way to know that capsules are prepared in a clean environment is to have them prepared in your home. I am a PBi-Certified Placenta Encapsulationist and follow Federal (OSHA/EPA) guidelines to ensure that I am handling your placenta in a clean, safe environment; disinfecting blood-borne pathogens in the proper fashion. I follow a PBi-method of preparation that is on file and documented with FDA. This means that I can’t legally encapsulate anywhere else but in your kitchen, or that of a friend/family member who has given consent. It’s important that you know that you are getting your placenta – and only your placenta (Miami Maternity Center under fire). If you want to you can observe your capsules being made, even take pictures. There are currently no other approved facilities where I can prepare placenta capsules. It’s perfectly legal to have your placenta prepared in your kitchen. You only get one placenta when you have a baby; or two if you have fraternal twins! If it’s handled in an unsafe manner; over-processed; goes bad; prepared using unsafe handling procedures; ends up being someone else’s placenta; or causes sickness then you lose out on an opportunity to benefit from placenta during your postpartum. I am a Certified Placenta Encapsulationist with Placenta Benefits – the leading resource in placenta encapsulation. I am trained to prepare placenta medicinally using a Traditional Chinese Medicine (TCM) method on file and documented with the FDA. I maintain my certification as a ServSafe Food Safety Manager and follow the same procedures used in food service establishments. My handling/disinfection practices meet strict Federal (OSHA/EPA) and local guidelines and I follow the same procedures as licensed small laboratories handling blood-borne pathogens and medical waste. I operate with integrity and safety. I have access to a comprehensive database on all things placenta. I can answer questions that you or your care provider have; such as “can you work with a meconium-stained placenta?”, “what happens if I have a c-section?”, or “if I develop a uterine infection during labor can I encapsulate?”. There are plenty of Encapsulators who choose to work out of their own kitchen. This is not legal or approved by the FDA and they are at risk for losing their business license and being fined. Is your placenta being kept at a constant 40 degrees F prior to preparation? Are the appliances (grinders, steamer, knives) sanitized between each placenta that they work on? Are they trained to handle a human organ like a placenta? Are they up-to-date on how to disinfect blood-borne pathogens? Is their kitchen a clean, safe environment? Do they have animals that could contaminate your placenta? Driver’s Note: I can’t drive with your placenta in my car. To comply with state and federal guidelines, I am unable to legally transport a placenta that I am going to encapsulate in my own vehicle. Most new parents have a family member (or friend) bring it back to their home fridge for me to encapsulate on a scheduled day. If that is not possible, the placenta can be kept on ice for the duration of your hospital stay. Selander, Jodi (2010). Certified Placenta Encapsulation Specialist – does it Matter? 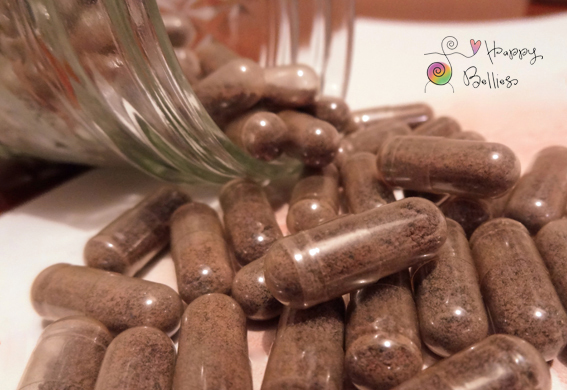 Disclaimer: Placenta encapsulation has not been evaluated by Food & Drug Administration (FDA). Nor is it clinical or pharmaceutical in nature. Nor intended to diagnose or treat any said condition. Women who utilize this service take full responsibility for consuming their placenta at their own risk. Please check with your health care professional to be sure that your placenta is healthy and safe to consume.